At the School of Arts and Social Sciences, our undergraduate students can choose from three arts-related degrees and major in communication, writing or international studies. Whatever the topic, we look to engage students in principled debates on current social and political issues. express themselves artistically through short films with the help of professional filmmakers and writers-in-residence. Our graduates work in fields such as journalism, politics, publishing and editing, corporate communications, marketing and advertising, diplomacy and foreign affairs, tourism and hospitality, and performing arts. Contact the School of Arts and Social Sciences for more information about course accreditation, staff contacts and school events. Download our school-specific course guides here. 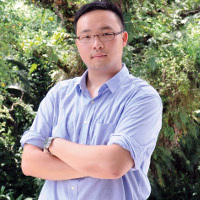 Arts graduate Low Wei Yan credits non-classroom activities for the skills he uses in his production-assistant job for documentary producer No Quarter TV. Authorised by: Marketing and Future Students. Maintained by: Monash University Malaysia Webmaster Team. Last updated: 18 Jan 2019.